Welcome dear Maja friends. I hope this blog post finds you all well and happy. 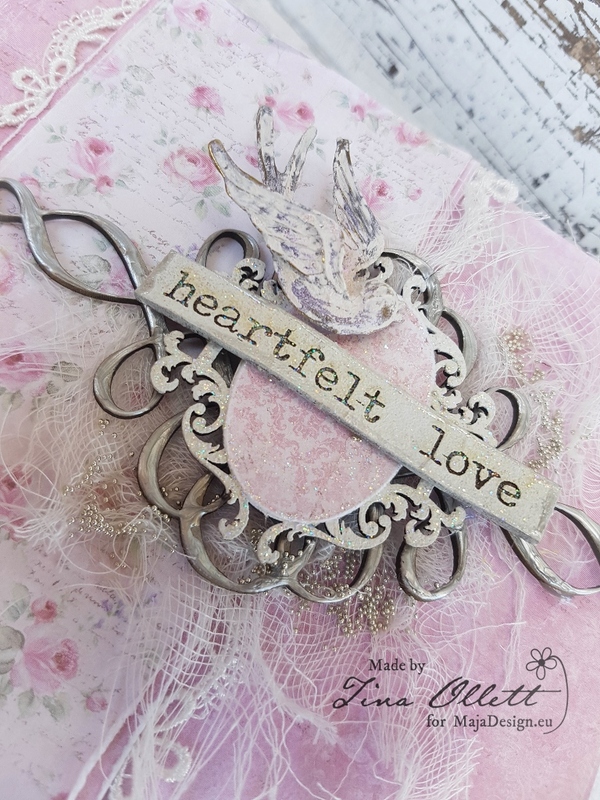 Today I am here to share a very simple card I created using the ever so versatile Sofiero collection. I have fallen madly and deeply in love with the softness of this paper collection. I kept this card very simple, as much as it didn’t feel right ……..it also did. Crazy I know but I had piles of flowers sitting around the card and adding flowers just distracted from the simple elegance of it. I have used the 6 x 6 pack perfect for cardmaking. Enjoying the fragrance was used as the background and I layered another strip of it along with Strolling down the path, with a little lace. See simple! 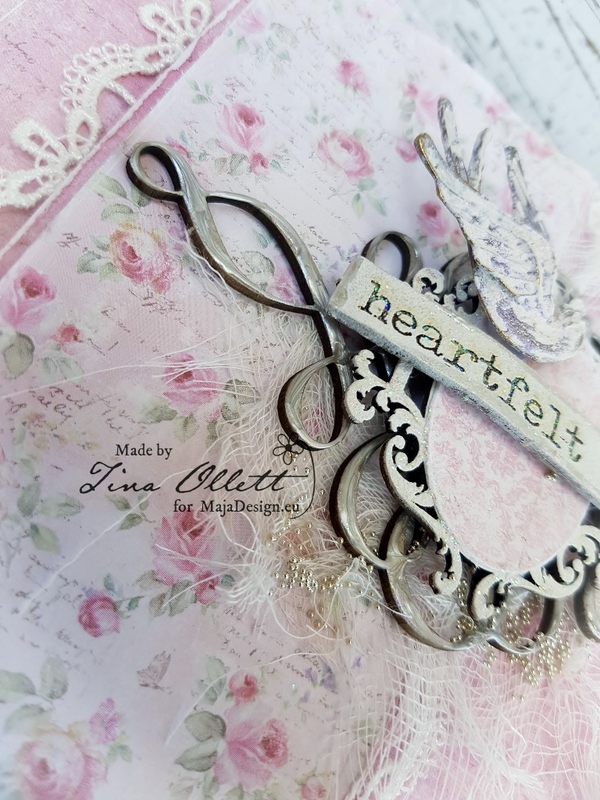 I used some Dusty Attic Chipboards along with a metal swallow embellishment to help decorate the card. The elegant scroll was dressed with liquid pearls and the cute Cameo Ribbon was coated with Gesso. I then cut an oval shape from the Royal Summer Residence to help it pop a little. I then highlighted them a little more with a little Star Dust Stickles. I tucked in a little muslin and then added in some sweet tiny little micro beads. The little swallow I think just completed this little project. It was primed with a little gesso and then I sprinkled over a little colour of Pale Pink Mica Powder. 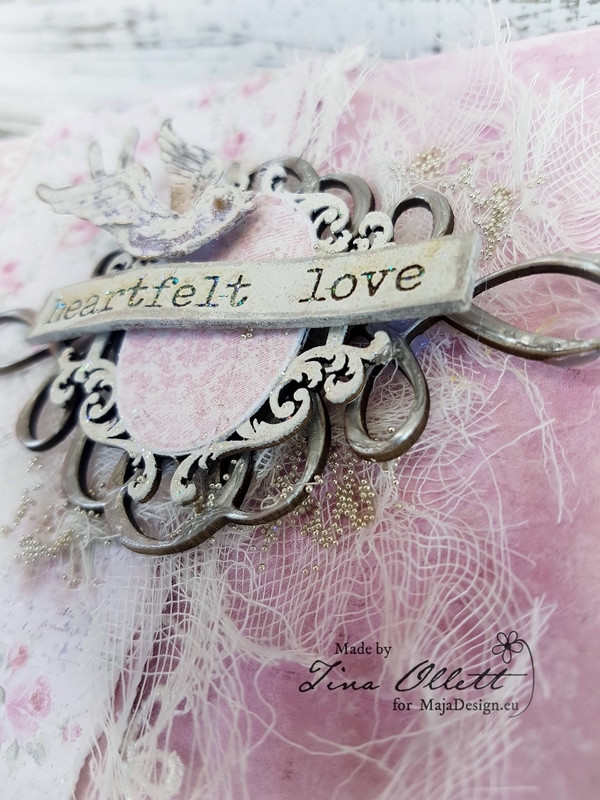 And finally I have topped the embellishment cluster with the word strip “Heartfelt Love”. Well that is all from me today. I hope I have inspired you to pull out your Maja Papers and create something small and simple, but very very elegant. Oh my, this is sooo beautiful, and I love all the different texture, that you´ve added to this card here, it really finish it of in a really good way, and fits just perfectly to the rest here too.